Michael J Behe debunks Darwinism for the Los Alamos National Laboratory. The following video was obtained by Witnesses Unto Me from the Department of Energy, National Nuclear Security Administration. Behe holds a Bachelor of Science in chemistry from Drexel University, a PhD in biochemistry from the University of Pennsylvania, and currently serves as a Professor of Biochemistry for Lehigh University. Dr. Behe uses Darwin’s own test to disprove his theory. “If it could be demonstrated that any complex organ existed which could not possibly have been formed by numberous, succesive, slight modifications, my theory would absolutely break down. But I can find out no such case.” Charles Darwin, On the Origin of Species, p. 158. Michael Behe then presents the concept of “irreducible complexity,” which is a mechanism that cannot become less complex while still accomplishing the task for which it was designed. Showing that irreducible complexity exists in biology, demonstrates that a complex organ exists which could not possibly have been formed by numberous, succesive, slight modifications, thus meeting the test which Darwin himself said would cause his theory to break down. 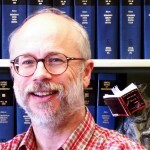 Behe is a Roman Catholic who grew up believing in Darwinian Evolution, although he now rejects Darwinian Evolution, he still believes in an old earth and micro evolution. Behe was well received by a full auditorium at the Los Alamos National Laboratory at this lecture which he gave on March 6, 2002. Watch or download Intelligent Design in Biochemestry: Responding to the Critics, Michael J. Belle, 3/6/2002 on Viddler.